Teacher with the Department of National Defence in England & Germany. Project Leader & Manager of the Visual Arts Guideline (Intermediate & Secondary Divisions) for the Province of Ontario. 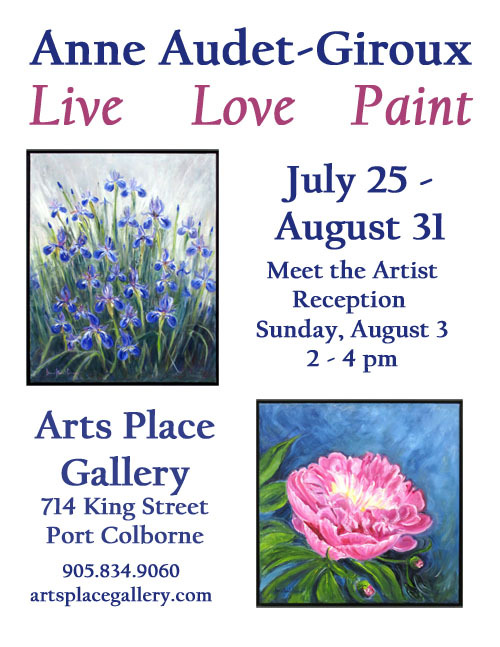 In Anne’s present exhibit at Arts Place Gallery, she offers paintings of what she loves and what she’s lived. Her visual expressions enhance the memories of her experiences and the subject matter for painting, stems from images that impress her; from faces to places that evoke a strong memory for her.